We are One Of the Leading Distributors, Supplier & Exporter of bonded seals (commonly known as Dowty Seals) in Mumbai,INdia. Bonded Seals is Often used as Bolt Seals in hydraulic equipment. Bonded Seals are Used in Varied Applications throughout industry. All size ranges and material combinations are available. 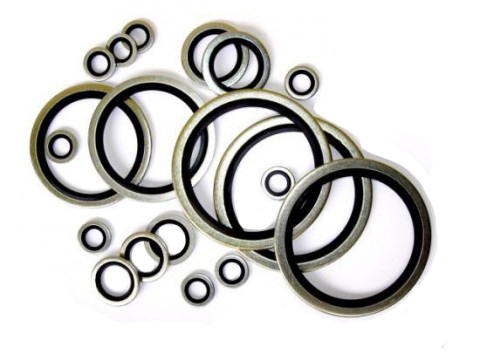 We can provide you in customised shapes for specific applications in any of the combinations of rubber to metal or plastic bonding.These bonded seals are metal washers with a vulcanized rubber inserted for use in high-pressure applications. Available in Various Sizes, Grades & specifications and can also be customized as per the requirements of our clients. » Bonded / Dowty Seals Bonded / Dowty Seals are available in all European thread sizes.